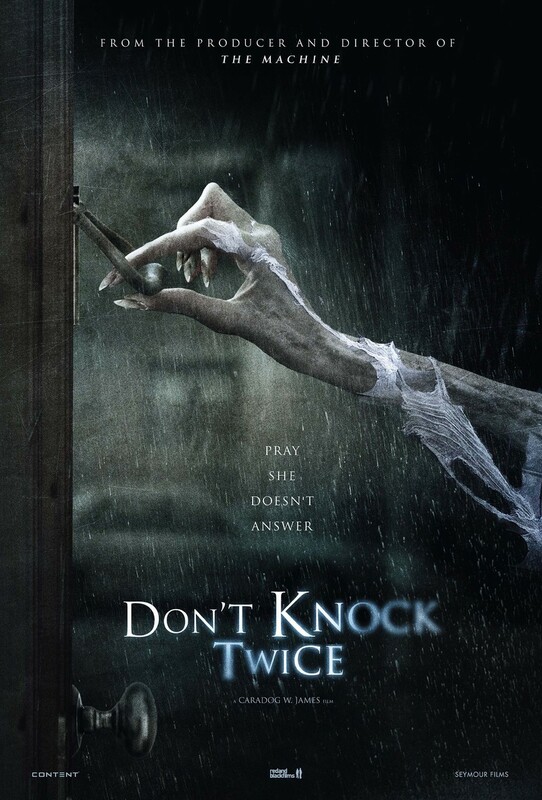 Don't Knock Twice DVD and Blu-ray release date was set for August 1, 2017 and available on Digital HD from Amazon Video and iTunes on June 6, 2017. Chloe and her boyfriend Danny come upon a creepy house, the site of a urban legend regarding a witch who steals children. When they knock on the door, the entity awakens. After Danny mysteriously disappears, Chloe goes to her mother, a recovering addict who placed her in foster care nearly a decade ago. But the witch follows Chloe to her mother's home. Now the two must figure out how to stop this evil entity before it takes Chloe.